We watched the Oliver! musical on Netflix. I looked up gruel. It’s basically Malt-O-Meal if you’ve ever had that…a thin hot wheat-based soupy stuff. Porridge is a thicker version of gruel. I like Malt-O-Meal with butter and sugar, but I’m guessing Oliver didn’t get any of those in the orphanage/workhouse. Come to think of it, my kids have never had malt-o-meal. Time to let them try it. And if they ask for more, they’ll have to talk to the administrators! Author nalterPosted on April 23, 2012 Categories food, historyLeave a comment on Please sir, I want some more. The Aquabats! Super Show! looks pretty amusing. Here’s a clip: Burger Rain. Author nalterPosted on March 1, 2012 Categories food, humor, TVLeave a comment on Aquabats! on TV! I’m eating a tamarind for the first time. I’ve had them in candies or other things, but never straight. On the outside, they look like a giant peanut. Inside, they’re covered with a kind of threading surrounding the fruity part, with hard seeds inside. You can’t eat most of it…only the thin fruity covering around the seeds. It has a kinda sweet/sour A1 fig newton taste. Not bad or anything, but I don’t know if I’d go out of my way to buy them. I hear that you can get kangaroo and yak burgers at BRGR, downtown. Author nalterPosted on February 9, 2012 Categories Albuquerque, foodLeave a comment on kangaroo burger? We got a big bag of dried fruit at Costco. Kinda healthy, you’d hope…until you check the nutrition facts and see that it’s HALF SUGAR. 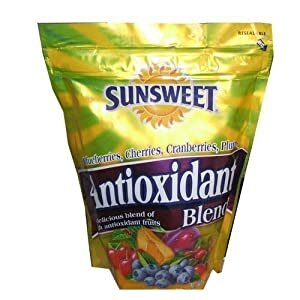 Even the ANTIOXIDANTS featured prominently in large letters are apparently just marketing hype. Also, it doesn’t contain asbestos! We got some raw figs at Costco to try them out. They’re mushy and tasteless…a combination that makes them creepy to me. We went to Jasmine Thai & Sushi House last night for our 10th anniversary (with the kids). We got coconut soup, green coconut curry dish, and veggie flat noodles. I thought it was all pretty good, but Vanessa said said she’d have preferred the sushi. Vanessa made grilled sandwiches with feta last night. Turkey and tomatoes included, but the feta gives it super flavor. You can get a bin o’ feta at Costco. Author nalterPosted on August 30, 2011 Categories foodLeave a comment on datsa sammich! I thought it was funny that the Subway restaurant billboards in Texas didn’t have pictures of healthy sandwiches as many places do. Instead, they had giant sandwiches with slabs of pulled pork BBQ. I grabbed the $5 special at the Doner Kebab House on Central near the Gizmo Store. It’s actually in the back of a convenience store. (Hey, space is expensive downtown…my dentist is in a house.) I forgot to ask what the special was, but it was tasty…I think it was a beef kebab with pita, rice, and salads. Probably my favorite cheap downtown lunch at the moment. I’d go there again.